DALLAS, TX, October 02, 2018 /24-7PressRelease/ — Savory and spicy, the taste of tacos have been an irresistible favorite for decades, and have even earned their own national holiday – National Taco Day, October 4th. This year, Taco Bueno, the popular quick-service Tex-Mex chain, is dialing up the taco taste craze with a new addition to their menu and a free offer for guests. Starting October 2nd, guests can enjoy the authentic limited-time-only taste of the brand’s new Texas Street Tacos. And, on National Taco Day, Thursday, October 4th, guests can try a free Texas Street Taco with any purchase. 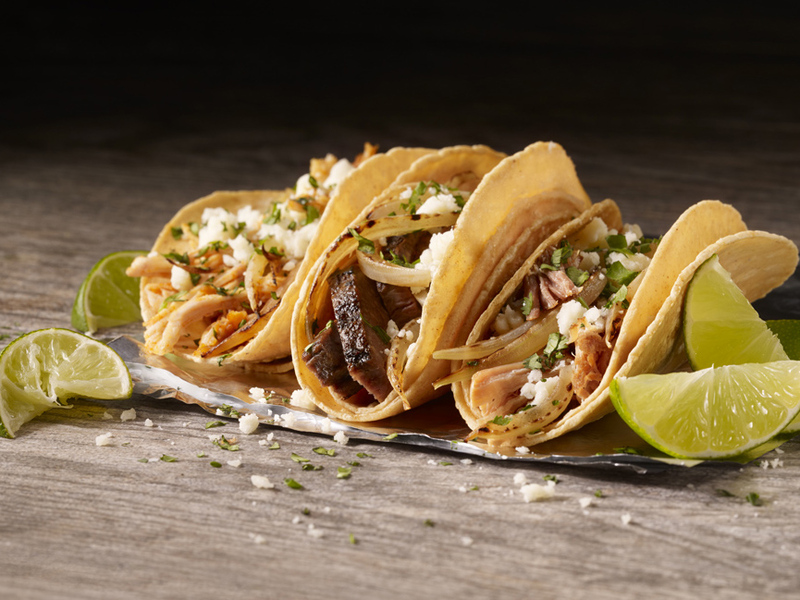 Texas Street Tacos are made with your choice of flame-grilled Carne Asada, hand-pulled Pork, or shredded chicken, topped with caramelized onions, cilantro and cotija cheese in a corn tortilla with a fresh lime wedge, and will remain on the menu at all participating restaurants through November 12th, while supplies last. Guests may choose from a 3-for-$5 deal or enjoy a single Texas Street Taco for $1.79. Those with larger appetites can choose a Texas Street Taco Platter, which includes 2 tacos, an order of Mexican Rice and cheese-covered Refried Beans, a side of chips plus guacamole and sour cream. There’s even a $20 Premium Street Taco box that includes 12 street tacos for those wishing to share the National Taco Day celebration with friends and family.